Although dietary components may play a role in the development of chronic kidney disease (CKD), data on this topic are scarce. The objective of this study was to investigate the association between macronutrient intakes and CKD in a large non-diabetic adult population-based study. This cross-sectional study recruited 5,316 participants aged ≥27 years without diabetes within the framework of the Tehran lipid and glucose study. Dietary intake was collected using a validated food-frequency questionnaire. Macronutrients intake including total-, animal-, and plant-protein, carbohydrate, simple sugar, fructose, total fat, saturated fatty acids, poly- and monounsaturated-fatty acids (PUFA and MUFA), and n-3 and n-6 fatty acids was categorized into quartiles. Anthropometrics, blood pressure, serum creatinine, and fasting plasma glucose and lipids were measured. 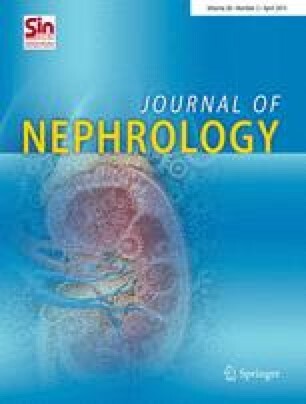 Estimated glomerular filtration rate (eGFR) was calculated using the Modification of Diet in Renal Disease Study equation. CKD was defined as eGFR <60 ml/min/1.73 m2. Mean age of participants was 45.0 ± 12.2 years. Mean eGFR was 71.9 ± 11.1 ml/min/1.73 m2, and 13 % had CKD. After adjustment for serum triglycerides and cholesterol, body mass index, and hypertension, the risk of CKD decreased in the highest quartile compared to lowest quartile of plant protein (OR, 95 % CI) (0.70, 0.51–0.97), PUFA (0.73, 0.55–0.99), and n-6 fatty acids (0.75, 0.57–0.97). However, the risk of CKD increased in the highest quartile of animal protein (1.37, 1.05–1.79) compared to the lowest. Plant protein, PUFA, and n-6 fatty acids are associated with a lower risk of CKD, independently of hypertension and diabetic mellitus, while animal protein may be a risk factor for CKD in adults. This work was funded by a grant from the Research Institute for Endocrine Sciences, Shadid Beheshti University of Medical Sciences, Tehran, Iran. All authors read and approved the final manuscript. The authors express appreciation to the participants in the Tehran Lipid and Glucose Study for their enthusiastic support, and the staff of the Tehran Lipid and Glucose Study Unit of the Research Institute for Endocrine Sciences, for their valuable help. We would like to acknowledge Ms. N. Shiva for critical edition of English grammar and syntax of the manuscript. None of the authors had any personal or financial conflicts of interest.